Bebengisms is a representation of who and what I am, so I'm taking good care of it. I am a work in progress and so is my blog. Let this series take you in my journey of doing a royal makeover for my cyber palace. This Royal Makeover Project will not be over as long as I welcome change in my own life. There is no deadline to achieving royalty, if you may ask. While others change their blogs' design in the goal of doing an 'overhaul', I thought of cultivating its heart and soul first: the content. I have a confession: I used to tap brands and online stores for giveaway sponsorship so this could gain traffic. There is nothing wrong with that, IMHO. I searched on ways to make this little pink space get noticed by netizens and one of which is to host giveaways. To be honest, I found it very, very addicting. I wanted an easy way to reach the top so I did it (as compared to comment exchanges, etc). I am not someone who could just wait to succeed. I do what I can to get what I want. So one year later, I got it; but somehow, I got tired. It saddened me that some giveaway winners weren't really my readers that until now, they haven't replied to my email. I just asked if they have received their prizes. And I got pfft. Nada. Zero. Sigh. So I decided to makeunder my giveaway posts. I believe that the ultimate step to recreate my blog to become a real representation of myself is to really tell you who I am and what I think. I want you moms (and ladies and bekis) to relate to my posts. Informative blogs are good, yes, those who give you the first dibs on everything; but there are so many! How can I be sure that it is my blog that Google gives to someone searching for that certain topic? I thought I'd be a storyteller, the real me in person. A press release will not be copy-pasted like I used to do (oopsie). I will do my best that each post (be it a product review or press release) has my personal touch in it. I was thinking of this whole makeover thing until I sleep at night. I was really that serious in making this a cyber version of my home: simple, organized and full of love and laughter. And to strongly support my dreams in doing a royal makeover, I attended Martine de Luna's Write On workshop. The session I went to was entitled "Your Blog, Your Bliss". I'll be selfish ha, I will not share with you the things I learned from the workshop para um-attend kayo, hehe. Promise, super duper worth it! Martine will not actually teach you how to blog blissfully, instead, she'll allow you to enjoy your life and blog about it eventually. That's bliss, right? I am now working on my blog features so expect a more organized cyber palace in the future. Naks! There is more to this change, I just know it. I hope I can deliver and make this virtual kingdom a place for happiness royale. Like what I told my bloggy girlfriends: To motherhood, blogging and beyond! 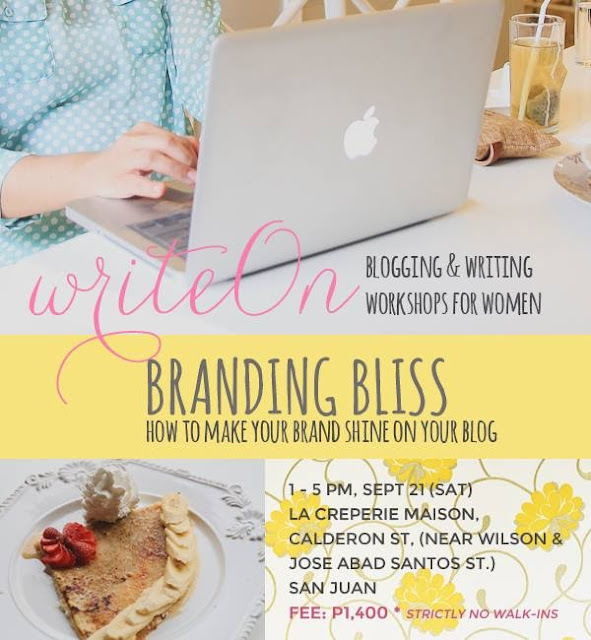 Speaking of girlfriends, my favorite blogger/teacher/mademoiselle, Martine will have another Write On workshop this coming Saturday. We share the same sentiments. I am currently striving hard to make my blog an informative one. Not that it isn't but more on writing the content with more passion na para bang ako mismo yung nagkwento sa mga readers ko. 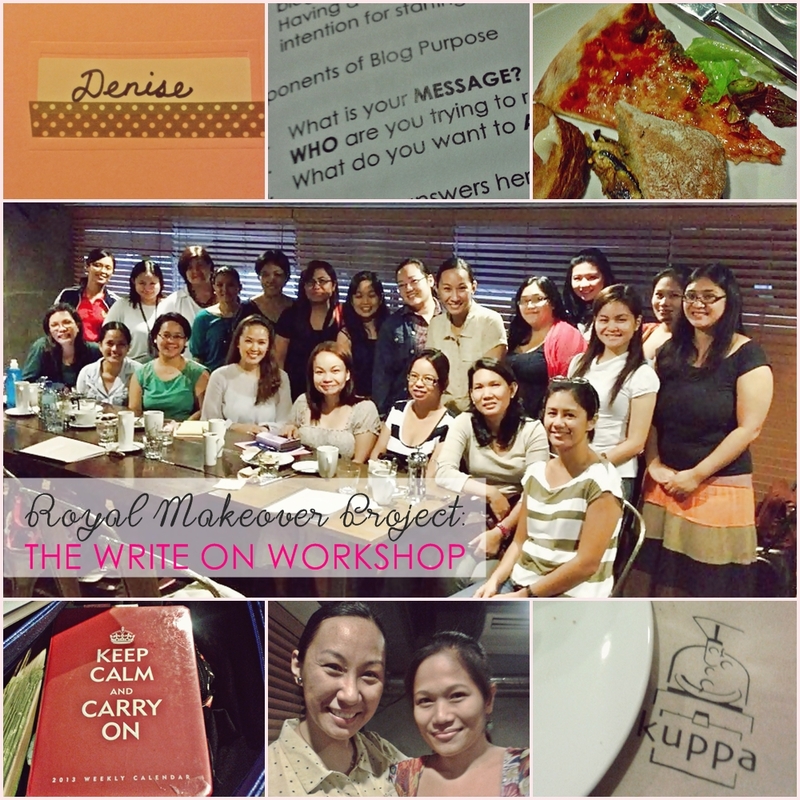 I would love to attend the workshop pero baka on the next one na lang. To the makeover and beyooond!! :D Excited for the palace's new feel. Thanks, D, my dear!!! I truly believe in everything you've said! I'm so looking forward to what you have in store for us! Can't wait to see the royal "reveal"! Mwah! See you soon! I wanna see what the "new" Bebengisms would be like. Not that I don't like this one. Pero, I find this exciting. Hehe!